A low pressure trough moving over the San Diego region to the north will cause patchy drizzle and light showers on Saturday. 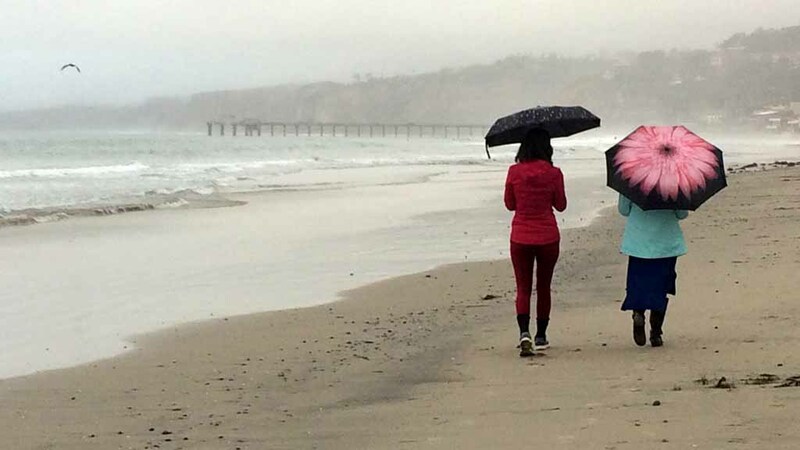 The National Weather Service office in San Diego is forecasting “a deep marine layer capable of a few sprinkles or brief, light showers” primarily over coastal areas. Temperatures will be on the cool side Saturday with highs in the low to mid 60s for much of the region. The cool, drizzly weather will be followed by another round of Santa Ana winds developing Sunday through Tuesday and creating elevated fire danger.